Emerging forward Jake Waterman will take over the No. 2 guernsey from retired Eagles great Mark LeCras in 2019, while the No.11 made famous by Brownlow medallist Matt Priddis will remain on the sidelines. 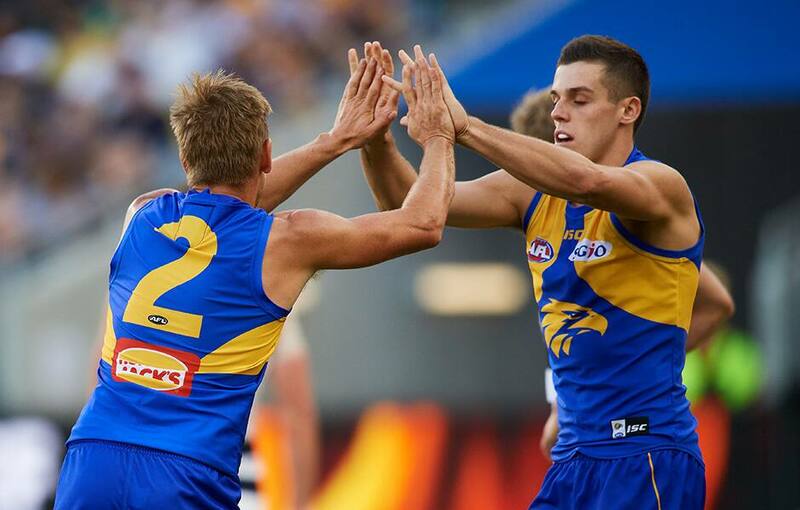 Waterman, who played 16 games in his debut season in 2018, takes the reigns from LeCras who retired following the 2018 AFL Grand Final after 219 games and 441 goals in the jumper. The No.11 guernsey, worn by Priddis in 238 of his 240 games, winning honours including the 2014 Brownlow Medal, an All Australian blazer in 2015 and the 2013 John Worsfold Medal, has been left vacant since his retirement at the end of 2017 and will remain unworn in 2019. Ruckman Tom Hickey, who joined West Coast from St Kilda via the trade period, will wear the No. 16 vacated by 2014 John Worsfold medallist Eric Mackenzie. Draftees Xavier O’Neill (24), Luke Foley (29), Bailey Williams (32) and Jarrod Cameron (39) all take over premiership-winning numbers worn by John Worsfold, Scott Lycett, Andrew Embley and Chris Waterman respectively. Rookie draftees Harry Edwards and Josh Smith will wear No. 42 and No. 45 respectively, while Category B rookies Patrick Bines and Brodie Riach will wear 46 and 47 respectively in 2019. Former Gold Coast Sun Keegan Brooksby, who will join the club, pending final AFL approval, on December 1, will don the No. 40 guernsey.